For children born with no pancreas the first weeks and months are incredibly difficult. With each set of parents we ‘meet’ online the same story plays out. Very small babies, failing to thrive with wildly fluctuating blood sugars. Getting these babies to grow is key to their survival but as steady glucose levels are needed for good growth it’s a long, hard struggle to build up these exceptional babies. In our case we had the threat of an imminent heart operation added to the desperate need for him to gain weight as the stronger he was the better his chance of surviving surgery. In the end it was 5 months before he had to go under the knife but at the time we didn’t know how stable his heart would be. The lack of glucose control is hardly surprising. Finlay weighed about 3 pounds when he was born and other children with his condition were similar sizes. Trying to be a substitute pancreas was always going to be difficult. So I thought I’d go back and try to work out the scale of the task we were trying to overcome. Insulin Sensitivity Factor (ISF) is a measure of how much a unit of insulin will drop a diabetic’s glucose level. For rapid-acting insulin, such as Finlay is on, divide 100 by the total daily dose of insulin for the ISF in mmol/l, or divide 1800 by the total daily dose of insulin for the result in mg/dl. The examples given on this page have ISF values around 45mg/dl. Reading around the internet it seems values up to 200 are not uncommon for children. So what was Finlay’s in the early days? 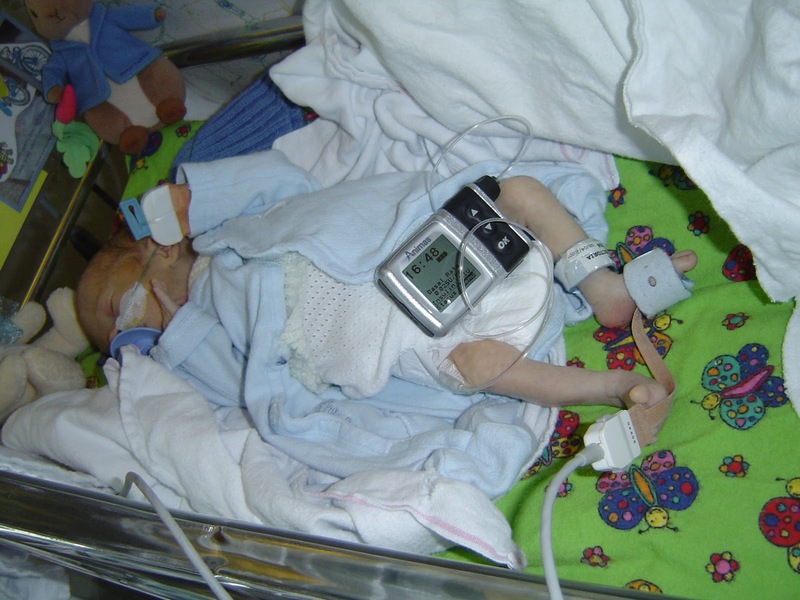 When he was first put on a pump he was given the Animas 1200, which at the time gave the smallest basal rate available of 0.025U/hr. During the early days he would be on this rate for most of the time, with the pump suspended when the BGL went below a set level. Over the course of a few days when he was 2-3 weeks old he averaged about 0.5 units per day (sometimes half that!). 1 unit of insulin would have dropped his blood glucose 3600 mg/dl !!!!! Of course, 1 unit of insulin would comfortably have killed him and the ISF was completely irrelevant in those early stages as we were really just reacting to his sugars, chasing numbers, so it was never calculated or even mentioned. Even now we don’t use it. But it does illustrate the difficulties Finlay presented to the medical staff and us. And why his sugars swung so wildly. And what a great job everyone did to keep him healthy and get him to grow. Now, 3.5 years later his ISF is around 200mg/dl. Still not easy to control but a hell of an improvement.